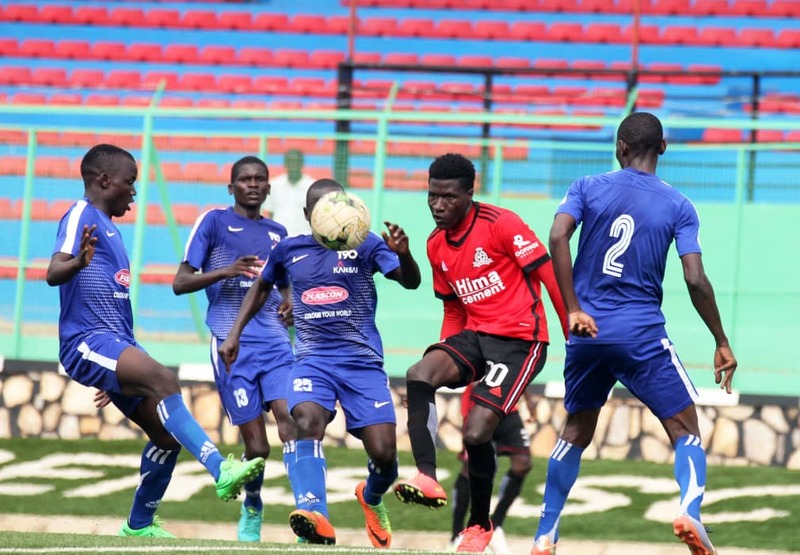 KITENDE – Vipers eased past Kansai Plascon 4-0 at the St. Mary’s Stadium in Kitende to reach the last 16 of the Stanbic Uganda Cup 2018/19. An own goal by Desmond Kyobe and Halid Lwaliwa’s first of the season set the tone for Vipers before Abraham Ndugwa sealed the deal with a second half brace. In the game played on Tuesday, the Venoms handed a rest to many of their starters with only three (Ibrahim Kiyemba, Geofrey Wasswa and Tito Okello) starting from the team that played Sfaxien last Saturday. From the first whistle, Vipers swarmed Plascon as they attacked them from the word go and it was just a matter of time until the first goal came. With 15 minutes played, Kyobe could only look on in disgust as he side-footed an Noah Wafula’s ball into his own net to hand Vipers the lead. Lwaliwa made it 2-0 on 26 minutes moments after Kansai had their first sniff on goal which was superbly dealt with by Derrick Ochan in the Venoms goal. Vipers tempo increased during the second half in pursuit of more goals as Ouma called on his side to be angrier and the lads vented that fury with a devastating performance. Ndugwa produced a man of match display scoring two beautiful goals in the 52nd & 73rd minutes respectively as a reward for a performance that boosted everything Ouma wants from his players with heart, desire, application and quality in abundance. Defensively, the Venoms produced too as they kept the paint makers at bay with almost no clear cut opportunities to write home about as Ochan remained undisturbed almost the entire second half. Moving to a fourth game unbeaten run without conceding since Javier Martinez’s departure, this was a proper rehearsal for their up upcoming CAF Confederations Cup game away to CS Sfaxien. The Venoms who drew 0-0 with the Tunisians, will play the second leg at the Tareb Mhiri Stadium on Sunday, needing just a scoring draw to reach the group stages. Derrick Ochan (G.K), Ibrahim Kiyemba, Aggrey Madoi, Halid Lwaliwa (84’ Tembo), Geofrey Wasswa, Rahmat Ssenfuka, Innocent Wafula, Tom Masiko, Abraham Ndugwa, Tito Okello (75’ Bobos Byaruhanga), Duncan Sseninde (70’ Steven Mukwala.